Isobar announced today that research firm Gartner, Inc. has placed the company in the Leaders quadrant in its “Magic Quadrant for Global Digital Marketing Agencies”1 for the fourth consecutive time. The report evaluated 21 digital marketing agencies. Isobar has, again, improved in both ability to execute and completeness of vision compared to its 2017 recognition and this year placed furthest on the completeness of vision axis. Senior Vice President, Global Head of Data and Technology, Isobar Global, Vikalp Tandon said: “We feel our placement recognises us for our expertise in tackling complex, integrated, experience-driven digital marketing projects and further validates our unique offering and underlines our success in those areas. We strive to provide clients with strategic solutions built on exceptional technology delivered with the creative use of digital. 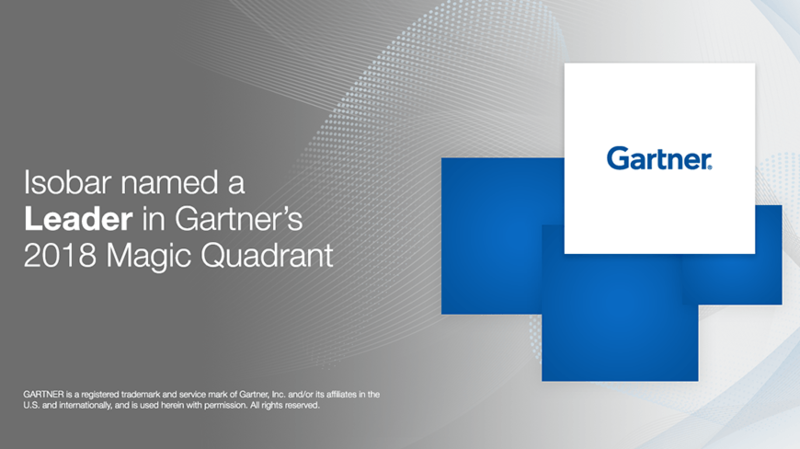 To us, our position as a Leader on Gartner’s Magic Quadrant reinforces that our design and technology capabilities enable us to build successful experiences for our clients.